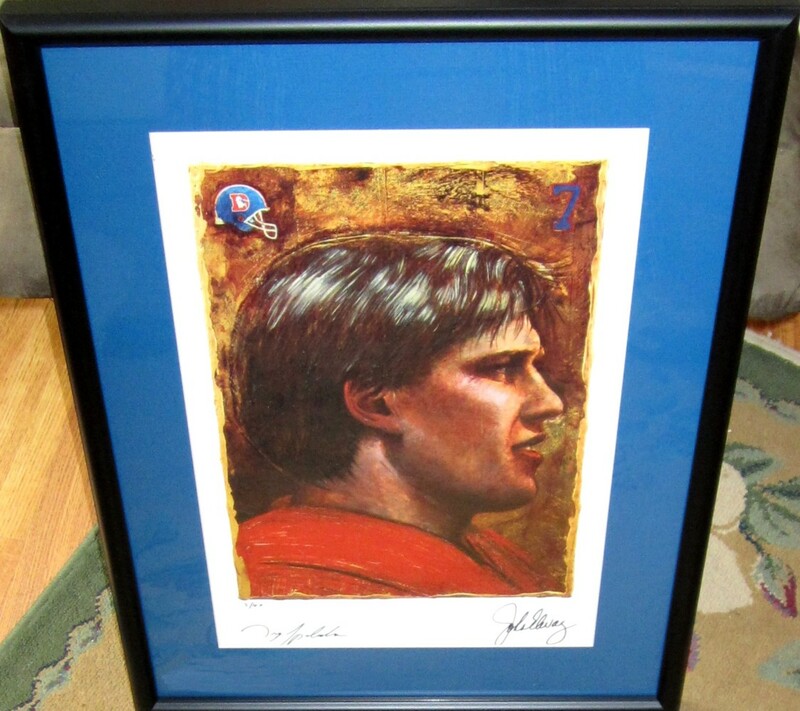 This beautiful John Elway Denver Broncos lithograph reproduces the painting of renowned sports artist Greg Spalenka which was used to create Elway's artwork card in the 1992 Proline Profiles set. 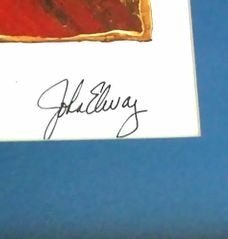 It is hand-signed in black marker along the bottom border by both Elway and Spalenka. 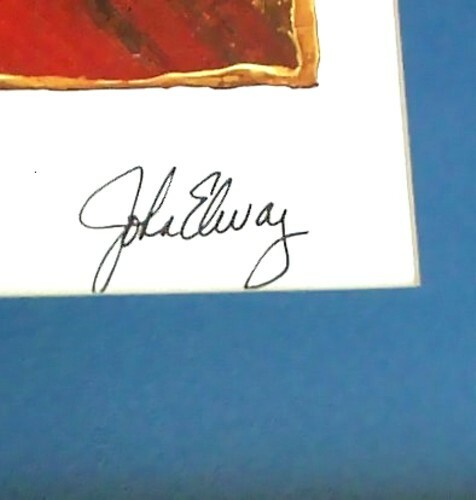 This litho is individually numbered #5 out of only 100 produced and comes with a COPY of the original letter of authenticity from NFL Properties. It is professionally matted and framed in blue and black and ready to hang. The framed size is about 19 by 24 inches. ONLY ONE AVAILABLE FOR SALE.